Meg’s words from the schoolhouse. “Dear peoples of the interwebs, a little story about friendship and words. Maggie sums up what I have been trying to put into words (of course she did, she is an amazing writer, you have to read her books if you haven’t already done so), that every now and then the ducks line up and the stars align and luck blows your way on a fair wind and you meet some of the people in the world who were just meant to be your friends. And no one can stop talking because it’s important to know one another as soon as possible. And with every new bit of knowledge, your heart sings. Do you know that feeling? I hope so, because it’s absolutely bloody lovely. We will all be very soon posting things on the “Tuesdays in the Schoolhouse” part of megoracle. I can’t wait. 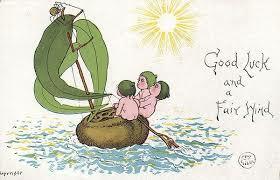 NB I posted that picture because it is gorgeous and because it has three friends, luck and a fair wind. But we always wear clothes in the schoolhouse, I promise. Lots of clothes, it’s cold in there. We do frequent squats to keep warm (and a little bit fit). I feel like I’ve known Kel and Maggie since we were gumnut baby size with small pink bottoms though. I’m not interested in seeing their bottoms now of course. Although I’m sure they are lovely, especially after all the squats. I mean I love these women but not enough to want to see their bottoms, even if they do a lot of squats. Fitness squats not wee squats (although the schoolhouse loo is very low and demands a bit of semi-squatting). Am I digging a hole? A bottom hole? I’ll stop. Now.